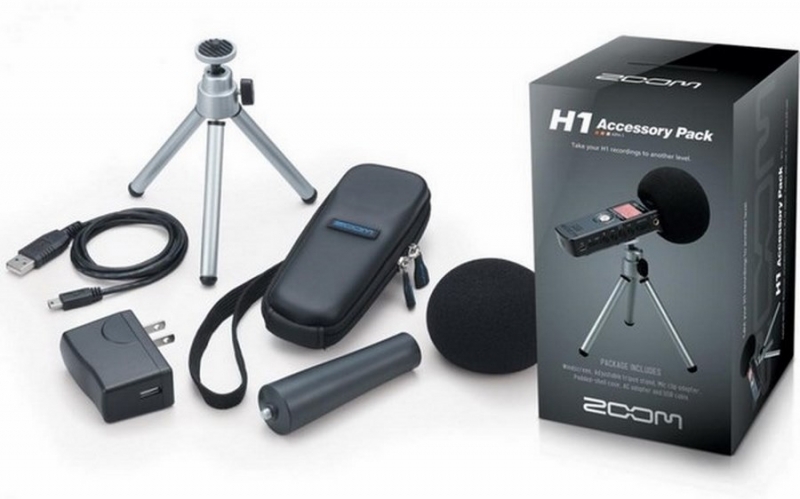 Zoom introduces the APH-1 as the official optional accessory package for the H1 Handy Recorder. The APH-1 features an array of accessories that will make your H1 recordings even more pristine and easier to capture. 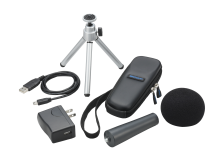 The kit includes a windscreen, AC adapter (USB type), USB cable, adjustable tripod stand, padded-shell case and a mic clip adapter. The APH-1’s windscreen will reduce the occurrence of wind, breath sounds and popping noises in your recordings, as well as keep the H1’s X/Y mics clean. Using the package’s USB connector type AC adapter to charge your H1 is easy and convenient. The included USB cable enables you to connect your H1 to any Mac or PC computer for file transfer, editing, and/or Internet posting. The APH-1’s adjustable tripod stand is compatible with the H1’s fixed tripod mount, making the H1 versatile in a variety of stationary functions. 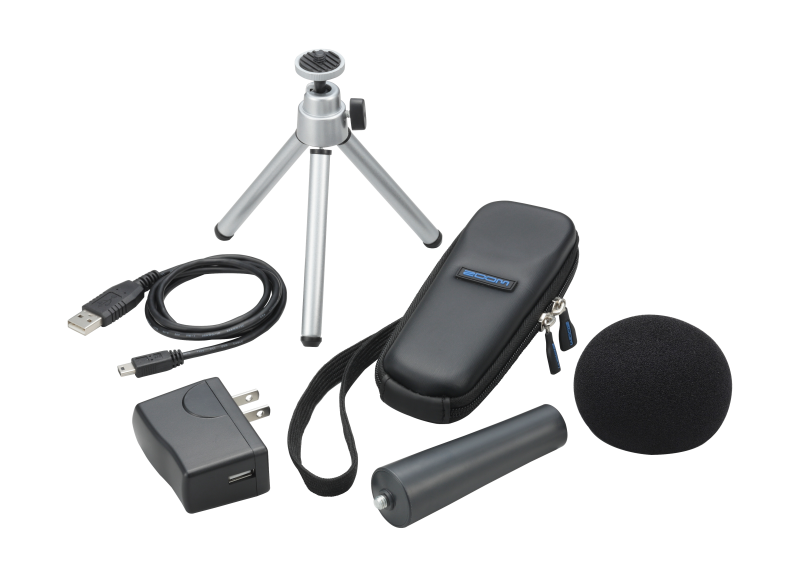 Utilize the kit’s padded-shell case to protect our smallest recorder ever. Lastly, the APH-1 provides a mic clip adapter allowing your H1 to be easily attached to any standard mic stand. If you think your H1 is handy now, wait until you accessorize the size with the APH-1 accessory package.